In this first posting of the new children’s comic strip our friend is going thru the seaweeds to find the one enemy who always tries to hurt or destroy them. Winjoy. So I was sitting on the toilet and there are paint droplets on the wall and I saw this image of this crab design which you’ll see shortly and I thought wow, that was cool. So I scratched it down on paper. 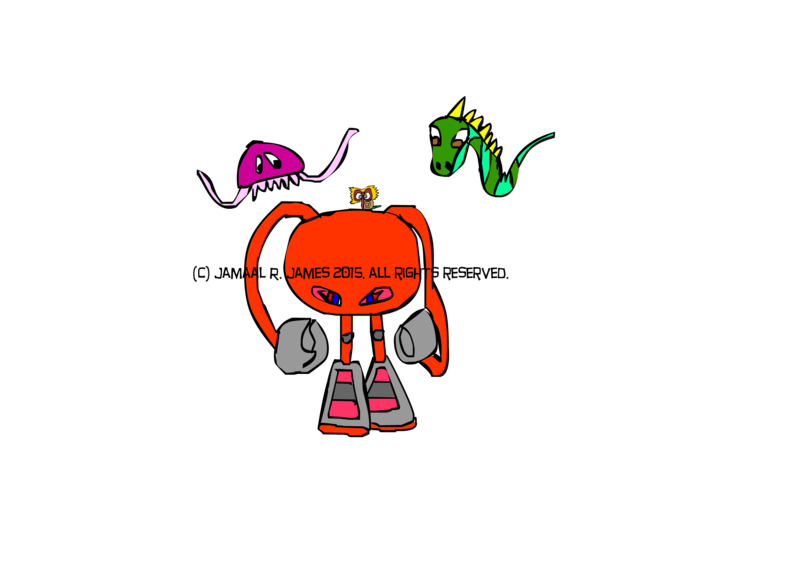 Then after that I drawed it out. It looked pretty good. So enjoy. 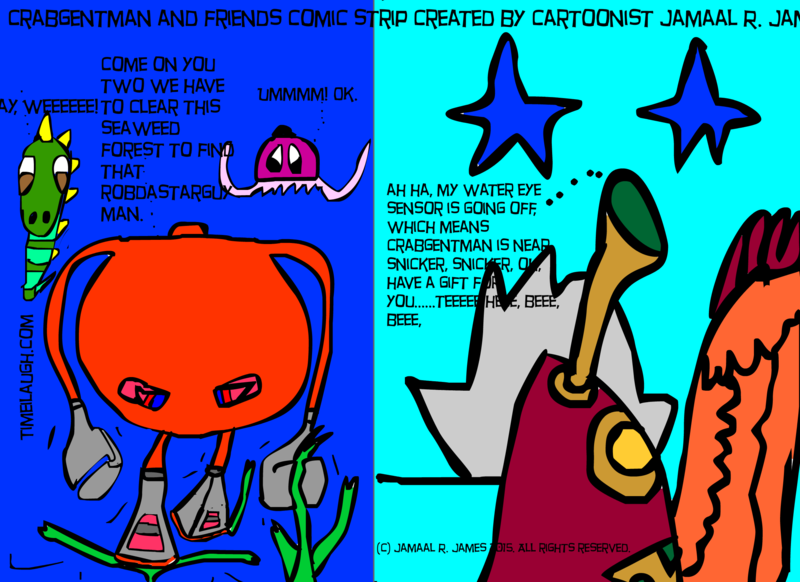 Crabgentman and Friends Comic strip created by Cartoonist Jamaal R. James for James Creative Arts And Entertainment Company.